Bovis Homes' key role in the regeneration of Stafford was highlighted recently with the opening of a new link road next to Central North's St George's Park development. Work began on the £2.3m highways project in May last year and was entirely funded by Bovis Homes. We teamed up with Staffordshire County Council to deliver the road which will provide improved travel around the 374-home development. Bovis Homes Regional Major Projects Director, Chris O'Connor, said: "We are proud to be part of this regeneration in Stafford, which also includes extensive landscaping and planting around St George's Park. 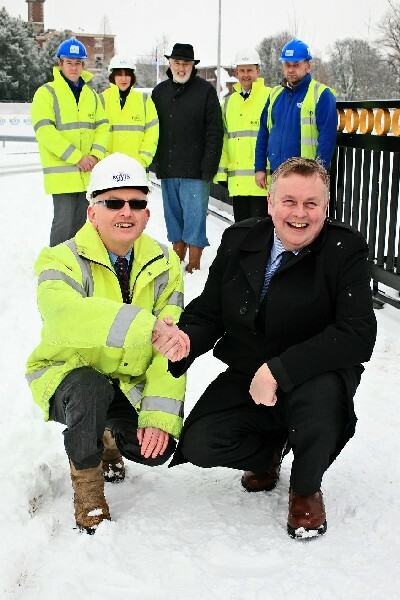 "The new road was a vital part of the overall vision for the development and its successful and prompt construction shows our commitment to working with local organisations to deliver for the people of Stafford. We are investing £34 million in building these quality new homes and funding these exciting improvements to the local infrastructure."